According to reporting from NBC 6 Miami, at least eleven people were arrested in a coordinated drug raid that occurred throughout multiple locations across Miami-Dade County, Florida. In the early morning hours of August 9th, 2018, agents and officers from several law enforcement agencies carried out this operation. Among other agencies, this includes the Department of Homeland Security (DHS), the Drug Enforcement Agency (DEA), and the Miami Police Department. Law enforcement representatives informed reporters that this large drug bust was a highly coordinated, carefully targeted operation. 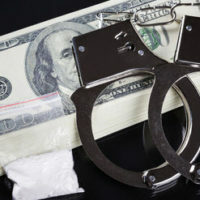 Federal law enforcement agencies were seeking to arrest suspected gang members that are believed to be involved in a sophisticated drug trafficking scheme. The gangs were allegedly linked to violence, though no specific evidence was offered to support that claim. The raids, which happened at three separate Miami-Dade County homes, have led to federal drug charges being filed against the suspects. All suspects should be viewed as innocent until proven guilty in court. One factor that makes dealing with federal drug charges especially challenging is that federal law enforcement agencies and prosecutors have enormous resources to throw at each individual case. For this reason, it is especially crucial that defendants are represented by an aggressive, highly experienced Miami drug crimes defense lawyer. Unfortunately, in far too many cases, innocent people get caught up in these large raids. They end up facing harsh federal drug trafficking charges that simply do not fit the underlying facts. Every defendant needs a skilled legal advocate by their side. In many cases, federal drug cases involve several defendants. Often, the federal government gets involved in complex trafficking cases. When cases have multiple defendants, you can be sure that prosecutors will attempt to get the defendants to testify against one another. If you or your family member was arrested as part of a large drug raid, it is imperative that you hire your own criminal defense lawyer. Your lawyer will be able to make sure that your rights and your interests are effectively protected. Many federal criminal statutes call for mandatory minimum sentences in drug trafficking cases. Without exception, these are harsh penalties. If you are facing a federal drug charge that carries a mandatory minimum sentence, you need to be aware of that fact. This type of sentence is a serious threat to your freedom. Your Miami criminal defense lawyer will be able to take the potential mandatory minimum sentence into account in order to craft the best strategy to protect your legal rights. At Ratzan & Faccidomo, LLC, our Miami drug crimes defense lawyers are strong advocates for our clients. If you or a family member was arrested for drug trafficking in South Florida, you need professional legal guidance. To get a free, fully private criminal defense consultation, please contact our legal team today at 305-600-3519.